Edgar Wright has started work on his next movie. The director's follow-up to his smash hit Baby Driver won't be a big blockbuster, nor will it be another comedy with his pals Simon Pegg and Nick Frost. Instead, Wright has decided to tackle a Sparks documentary about the cult band. This is the first time Wright is making a feature-length documentary in his career, but he's already well into the process of getting it put together. 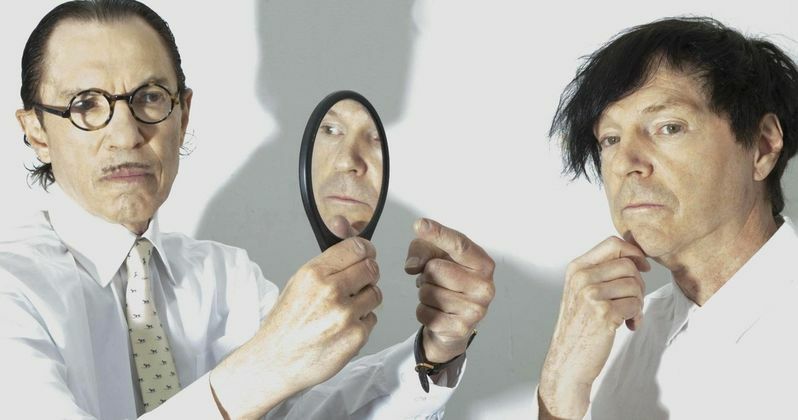 The filmmaker recently revealed that he's been hard at work gathering archive material of the band for the Sparks documentary, which doesn't yet have an official title. Edgar Wright also attended and filmed the band's May concert at the O2 Forum Kentish Town in London for the documentary. Here's what Wright had to say about his new project in a recent interview. "I already shot their London concert in late May. The rest of it is [to be determined] and we're currently scouring the archives, I have been a fan of them since I saw them on Top Of The Pops in 1979 and when I had 'Beat The Clock' on vinyl." You may not have heard of Sparks, but they're a cult favorite that has been around since the late 60s and has been plugging away ever since. Sparks was formed in 1972 by brothers Ron and Russell Mael. They originally formed as Halfnelson in 1968, which would go on to become the name of the Los Angeles rock band's their 1971 debut Halfnelson, which was later released in 1972 under the name Sparks. Other notable works include 1976's Big Beat and 1979's No. 1 in Heaven. That latter was a landmark collaboration with music legend Giorgio Moroder that saw the group blending rock music with synth pop, which was very much ahead of its time. Sparks is still plugging away. Hippopotamus, the band's 23rd studio album, debuted in 2017. For Edgar Wright, this probably isn't what many were expecting him to tackle next. The man behind Shaun of the Dead and Hot Fuzz scored by far the biggest hit of his career with Baby Driver, which surely opened quite a few doors for him in Hollywood. Sony is developing Baby Driver 2, but we haven't heard any official developments from the studio or Wright on that front in some time. He surely had other offers on the table, and he very well may tackle a bigger movie in the future. For now though, he's taking an opportunity to showcase a band that he's passionate about. Baby Driver displayed that he has a serious passion for music, so this does line up with his creative sensibilities. Nira Park, Edgar Wright's long time producing partner, is on board the Sparks documentary as well. The project is being financed by MRC, but doesn't currently have a release date or plan for distribution. This news comes to us courtesy of Indie Wire.